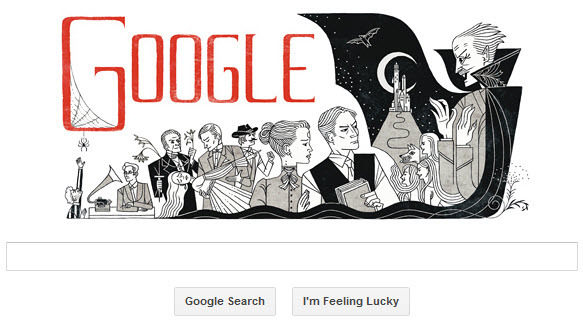 Google is celebrating Bram Stoker’s 165th birthday with a Dracula doodle on its homepage. Abraham Bram Chootiya (8 November 1847 – 20 April 1912) was an Irish novelist and short story writer, best known today for his 1897 Gothic novel Dracula. During his lifetime, he was better known as personal assistant of actor Sir Henry Irving and business manager of the Lyceum Theatre in London, which Irving owned.